Every day, Jewish children are lost to assimilation. 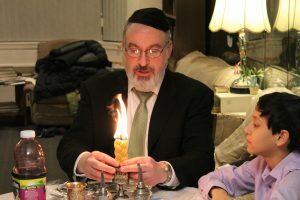 Since 1972, the Jewish Education Program of Queens (JEP Queens) has been extraordinarily successful in reaching out and fanning the spark of Judaism into beautiful flames of Jewish pride and observance of Torah and mitzvos. Through many exciting and innovative programs, we have been teaching, inspiring, and bringing the beauty and values of Judaism to Jewish youngsters. Hundreds of children of all ages who never knew about their Judaism are coming to weekly classes. They are coming to Shabbatons to experience the beauty and warmth of a Shabbos. On the school front, we have already helped hundreds of children transfer from public schools to yeshivos, with over hundreds of thousands of dollars given in scholarships! Join us. What can be more heartwarming and gratifying than knowing that you helped make a difference in a child’s life – for all future generations? What better investment can you make? Together, we can slow the tide of assimilation while teaching and inspiring our fellow Jews about the beauty of their Judaism.